Firmly established as Europe's largest supplier of carp fishing in France you won't find a greater choice of top quality French carp lakes anywhere else! We offer carp fishing in France at 35 lakes, with big carp to 75lb and a choice of bivvy or luxury accommodation. When it comes to carp fishing France we've got the lot! At Beechwood Baits we strive to make the very highest quality carp bait and boilies available, to everyone, we want you to get more out of what you put in! The British Carp Angling Championships is one of the longest running and highest profile Carp matches in the world. We also run the UK Carp Cup. Our aim is to encourage and assist carp angling as an enjoyable competitive sport, Carp Fishing Online is providing an internet search platform to enable Carp Anglers, to find different venues to help improve their personal best, at the same we are providing online links for tackle shops for that essential buy at competitive prices. 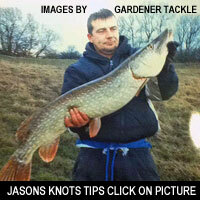 Carp fishing tours, accommodation, tuition and all tackle provided. The Classic Fishing Festival takes place on Lough Erne, in County Fermanagh Ireland every year. Fishing Tackle 2 Go is the online division of Crowthorne Angling Centre in Berkshire. Set up over 30 years ago the shop has moved with the times and sells online all over the U.K and Europe. Gawsworth lakes a premier facility situated in Cheshire providing 5 pools and a canal stocked with fish up to 30Lbs including Tench, Bream, Barble, Chub, Perch and Carp. White Acres Holiday Park has become the ultimate resort for anglers and their families. Enjoy 10 pleasure lakes and 3 specimen lakes set in 184 acres of stunning Cornish countryside. Mal Storey for all your angling requirements at our shop in Halesowen or buy online. Manor Farm Fishing, all you need for a great day's fishing, Tackle Shop Megastore, Tuition, Caravan and camping even food. A warm welcome awaits you at Manor Fisheries which provides both comfortable accommodation and outstanding coarse fishing, never knowingly over crowded. Our lakes are set in peaceful countryside in the heart of rural Kent surrounded by fields and marshland. You will find Monkhall Fishery in Monkhopton Shropshire, in between Bridgnorth and Craven Arms, with 5 coarse fishing pools set in 27 acres of beautiful Shropshire countryside. Our fishery has food and accommodation. More House Farm is a rapidly expanding fishery set in the beautiful Mid Sussex countryside. It currently boasts three lakes. They are all in set in very tranquil surroundings, bordered almost entirely by open country side. St Ives Premier Fishing Tackle and Bait Shop for all your angling needs. Drop in and see Lee, good tackle stock and good advice. Our top quality holiday parks have been entertaining countless visitors since 1984, when our first resort opened near Rye in East Sussex. I have fished for more than 50 years on rivers, lakes and sea, and a L1ACAQ qualified angling coach. The last 30 years mainly fishing for Barbel and Chub on the Kennet, Hampshire Avon, Dorset Stour, River Teme and Middle Severn. Also the River Thame (Oxon) mainly for Chub and Perch. Thinking Anglers was founded in 2005 by Steve Fantauzzi and Ben Hamilton wanting to produce fishing equipment of not only the highest quality but unique products not just copies of products already out there on the market. Both Steve and Ben have been around the fishing industry all their lives which is why their knowledge is second to none. For everything Fishing in Oxford and On-line. Tunnel Barn Farm is the Midlands Premier Fishery offering day tickets for pleasure fishermen and daily competitions for Match fishermen. F Wade & Son opened in 1951, so we are the longest established fishing tackle shop in Peterborough. It is good to know that our speciality has always been our service. We will go out of our way to help every single customer to ensure they have everything they need and can have a great day out fishing.